Everyone Can Get Angelina's Look from 2009 Golden Globes! Our friends at Lancome gave us an exclusive look at how Celebrity makeup artist Mary Burton created the beautiful look for Angelina Jolie at the 2009 Golden Globes on Sunday Jan 11th. Angelina looked ravishing in a sparkling, silver Versace floor-length gown, didn't she? To compliment her dress, Mary wanted to create a sheer, natural look and choose to focus on the eyes. She applied Lancôme Artliner in Noir to the lash line starting at the inner corner and blending out. To create drama Mary used two different mascaras, Lancôme Courbe Virtuôse Mascara in Black and Lancôme Ôscillation Mascara in Black and applied a few coats of both to add volume and length. She added just a touch of color to the apples of her cheeks by applying Lancôme Color Design Blush in Model Mocha with her finger. To finish the look, Mary used Lancôme Juicy Tubes in Spring Fling for a soft, pale pink, glossy pout. Now here's how you can get the look too, even if you are not Angelina's shade! We've provided the lip and cheek color options for women with darker skin tones women to get a similar look. 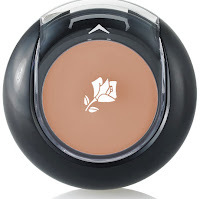 The eye products will stay the same, as described above. Swap Lancôme Color Design Blush in Model Mocha for Chic Cassis. 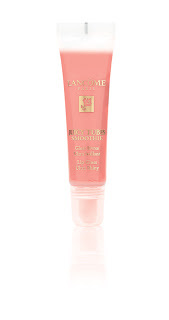 Swap Lancôme Juicy Tubes in Spring Fling for Simmer or Sun Bronze.